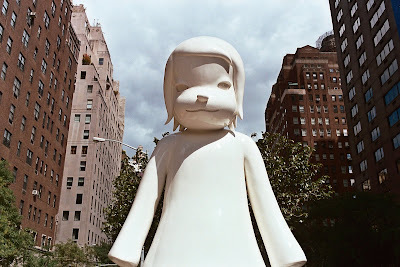 I know a lot of comics fans enjoy Nara's work, so here's a post of his awesome White Ghost statue on Park Avenue. There are actually two of these, one on 71st and one on 67th. Pretty cool. PS, hope everyone had fun at SPX.